Ronen's Opening Survey: London System (4 part series). A47: "King's Indian/London System with c4, King's Indian/London System (different games played)". 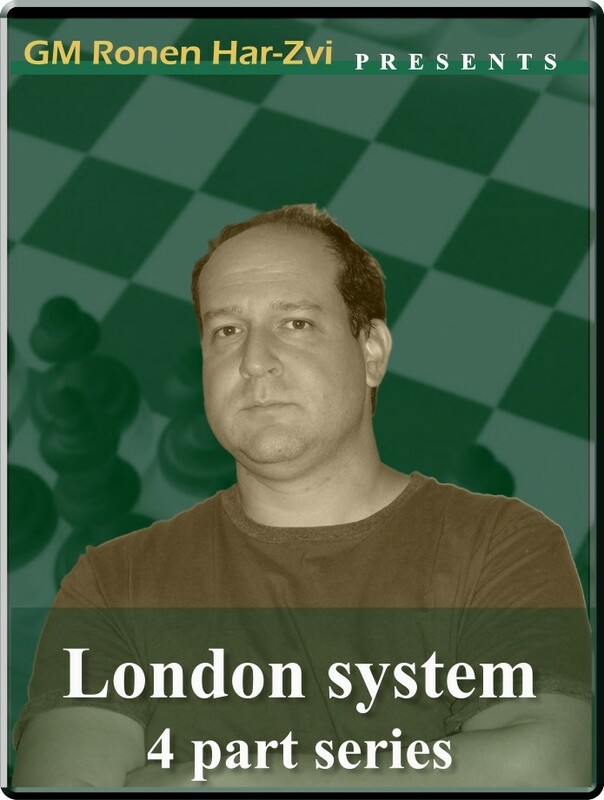 Ronen's Opening Survey: London System (4 part series). A47: "King's Indian/London System with c4, King's Indian/London System (different games played)". In the King’s Indian Defense, White has to memorize a labyrinth of variations if he hopes to have any real chance at walking away with an advantage. But the London System (1. d4 2. Nf3 3. Bf4) is an excellent way for amateurs to meet the King’s Indian Defense - and for a bit more bite, White can adopt a big Boris Spassky favorite by playing the London System with c4 against the KID. Not only was it a weapon of Spassky's, it was also used by the likes of Kasparov, Bronstein and Smyslov. And in a new four-part series, GM Ronen Har-Zvi takes a closer look at playing the London System (with c4) as an Anti-King’s Indian system.